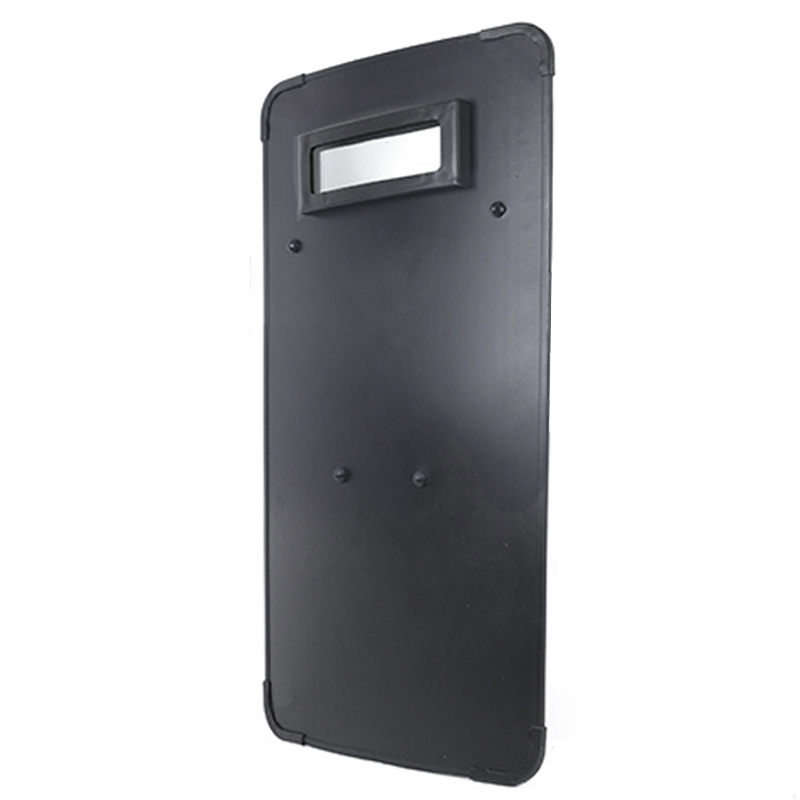 The NIJ IIIA Hand-held Bulletproof Shield can provide a protection of IIIA in accordance with NIJ standard-0101.06. 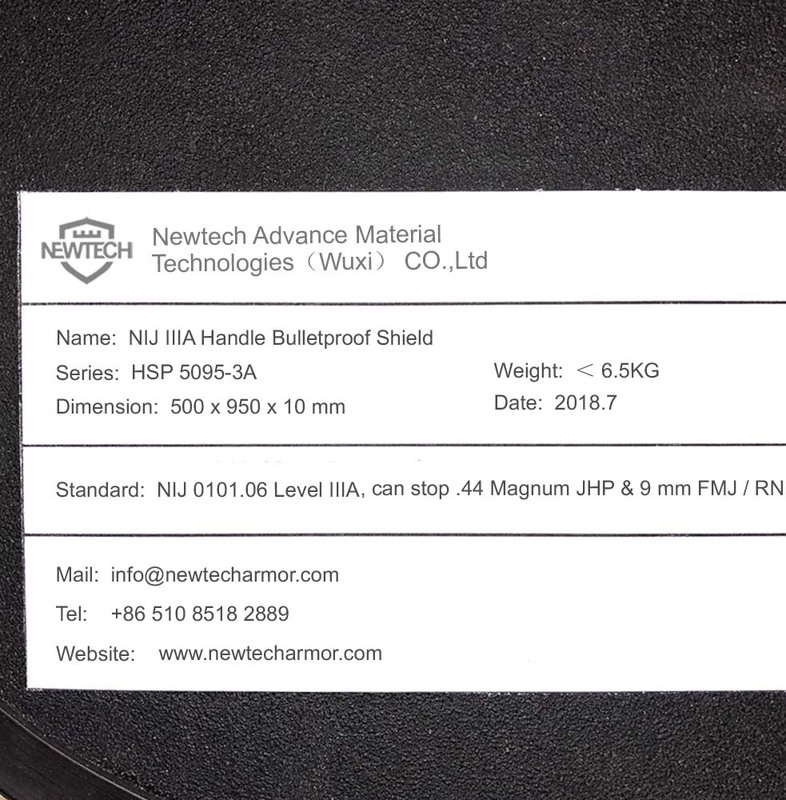 This shield is made of UHMW-PE (Test report available). 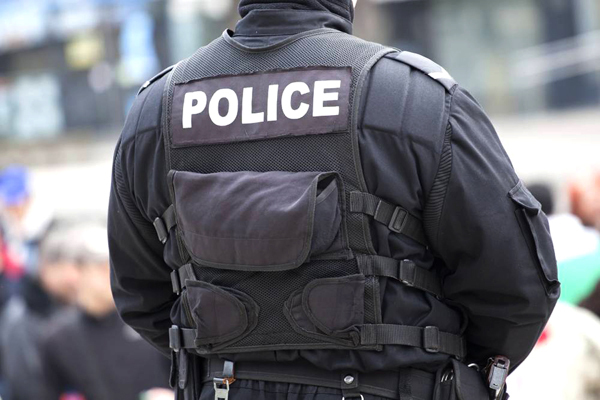 2 handles on the back facilitate both left-handed or right-handed users. 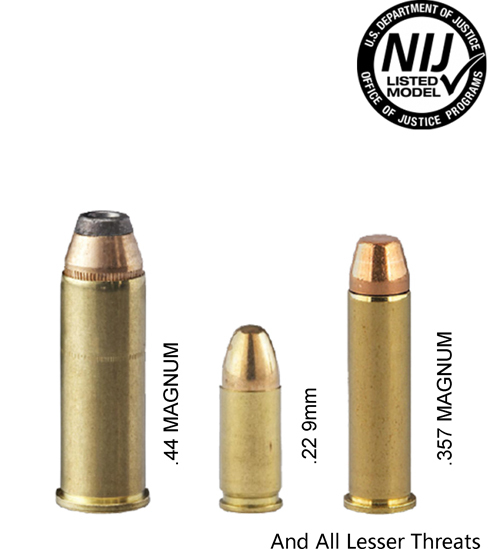 NIJ Level IIIA, stable and excellent protection capability, can resist regular rifles. 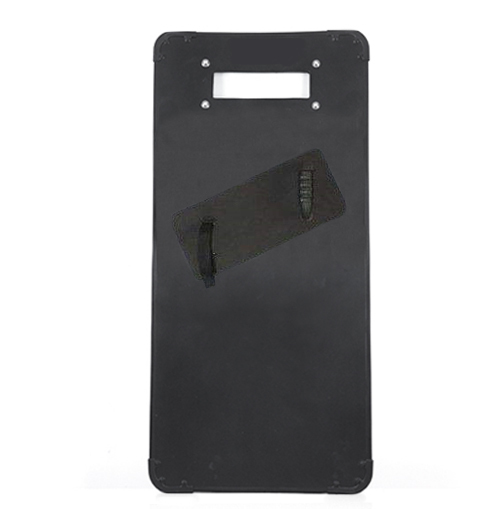 2 handles on the back for both left-handed or right-handed users. 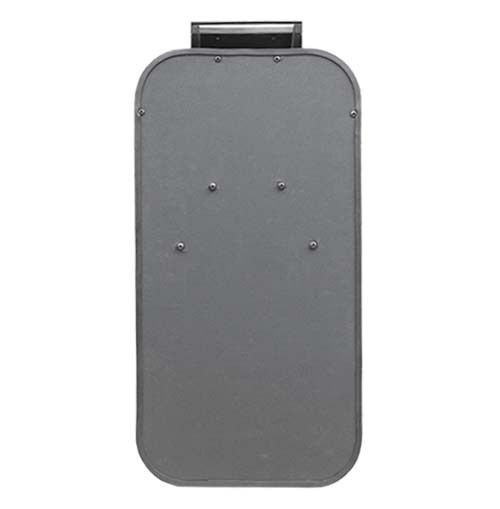 Provides better water and dirt proof with the polyester reinforced resin finish. 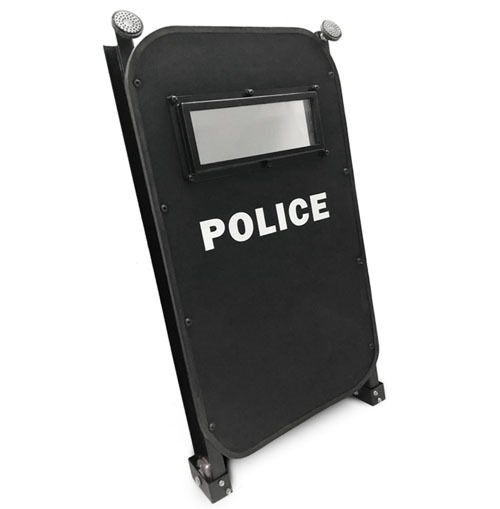 This shield is NIJ 0101.06 certificated with a protection level of IIIA (Test report available). 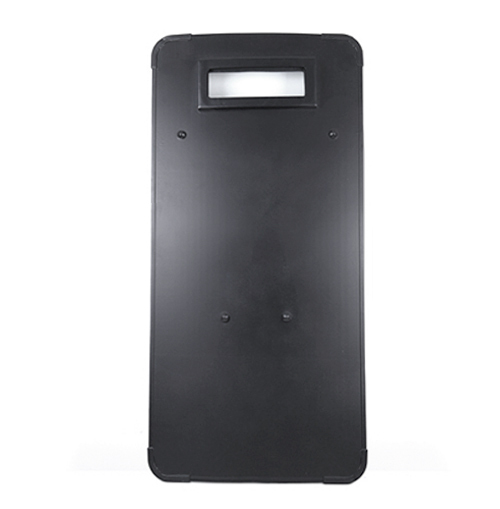 It can resist the threat of 9 mm FMJ and .44 Magnm JHP. 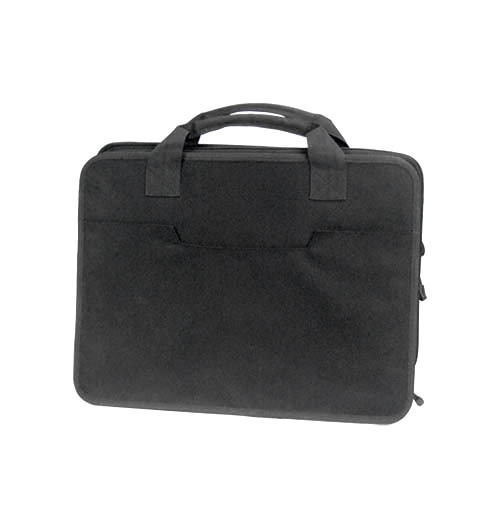 Accessories: 2 handles on the back for both left-handed or right-handed users.